WASHINGTON – Consumers spend $646 billion annually on outdoor recreation, said advocates, who called on the government Thursday to do a better job tracking the worth of what they called an undervalued industry. Speakers at the Center for American Progress event also said that the numbers demonstrated the value of the nation’s parks and open spaces, which the outdoor industry depends on. “These are legitimate jobs,” said Interior Secretary Sally Jewell, adding that national parks saw more visitors last year than ever before. Rick Hill holds one of those jobs. Hill, the chief financial officer of Arizona Outback Adventures, said that revenues from his company’s tours benefit the state’s economy with money that otherwise would not be coming in. “Virtually 100 percent of the revenue we generate from those tours comes from visitors from outside the state,” he said in a telephone interview. Hill agreed that data about the economic impact of the industry is limited and said that the importance of outdoor tour companies like AOA on local economies has become greater in recent years. “The market has grown markedly and is really still, I’m sure, undervalued,” he said. Speakers at Thursday’s event in Washington said the success of the industry is directly linked to the health of public lands and waters. She and others Thursday called for the Department of Commerce and Bureau of Labor Statistics to create better data on the jobs and revenue the outdoor industry provides with the help of public lands. Hill agreed that the health of public lands are vital to the health of the industry. Hill said tour operators like him are the best stewards of public lands and national parks, not just because their incomes depend on it but because they have a better respect than the general public for the lands and waters they use. “They provide us a livelihood and without adequate care and management of those lands we wouldn’t have a place to operate,” he said. Jewell said it’s important that industry officials speak up. 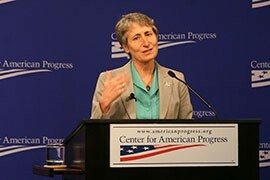 “It’s important that the economics of outdoor recreation … has voices coming out to the table saying this is a legitimate use of public lands that can be compatible with the long-term health of those public lands but that’s also compatible with the long-term economic health of these communities,” she said. 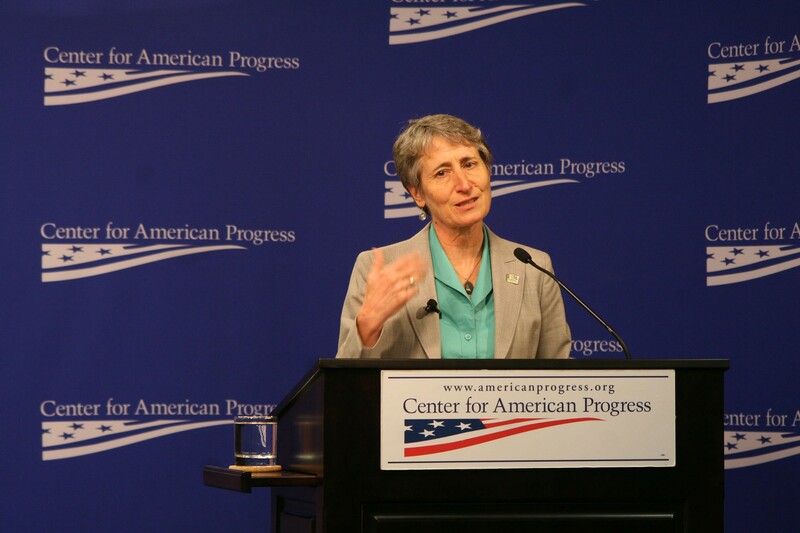 Interior Secretary Sally Jewell said jobs related to outdoor activities are "legitimate jobs" whose importance to the economy - estimated at 646 billion - should not be overlooked.